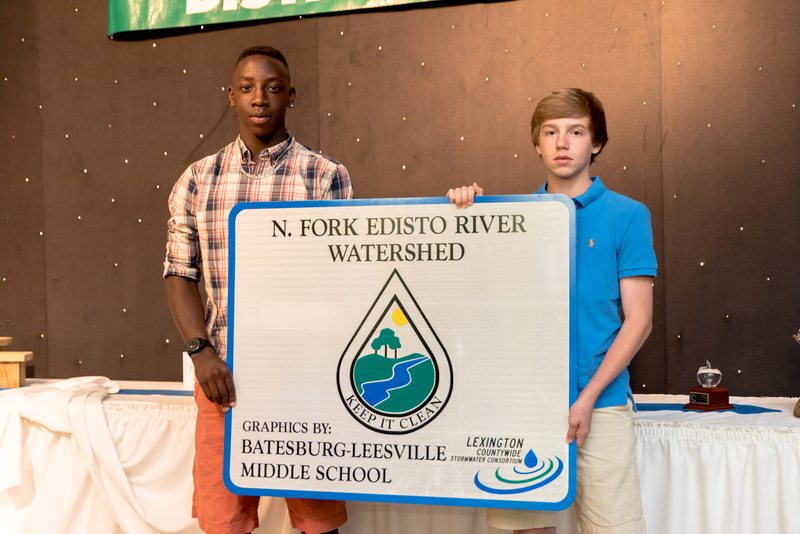 Winners of the Lexington County Watershed Sign Design Contest are Recognized. The Lexington Soil and Water Conservation District (LSWCD) held its annual awards banquet at T&S Farms in Batesburg on May 12, 2016, to recognize winners of their Youth Photography Contest and Young Farmer of the Year award. 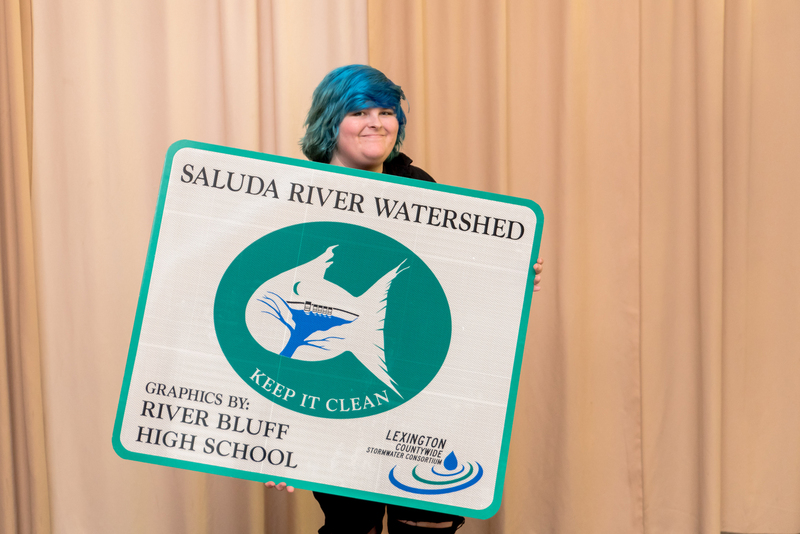 Winners of the Lexington Countywide Stormwater Consortium’s (LCSC) Watershed Sign Design contest and their guests were also invited and honored at this banquet. Sheri Armstrong, Lexington County Public Works Stormwater Manager described the contest and the desire for Lexington County to post signs along roadways within our four major watersheds that identify them so that the public will become aware that everyone lives in a watershed. The message on the signs to “Keep it Clean” is meant to encourage pride and to refrain from polluting the land so that our watersheds remain beautiful and our receiving waterways become cleaner. Every aspect of this venue from the invitations, decorations, delicious meal catered by Shealey’s Barbeque, to the beautiful certificates of recognition and crisp new bills in the cash award given to each winner were the work of Tina Blum, Administrative Assistant of the Lexington Soil and Water Conservation District. The LSWCD is an active educational partner with the LCSC. In addition to providing the banquet, the LSWCD Director, Carolyn Hefner served as a judge for the sign contest along with Jane Hiller (Green Steps Schools), Jacqueline Buck (Keep the Midlands Beautiful). Sheri Armstrong, Lexington County Stormwater Manager and LCSC community volunteer, Ed Siggelko.